VANCOUVER -- Aurora Cannabis Inc. (ACB.TO) says it's completed its acquisition of CanniMed Therapeutics Inc (CMED.TO). The company says in a statement it has acquired all the remaining issued and outstanding shares of CanniMed that it did not already own. It says CanniMed's shares were delisted from the Toronto Stock Exchange at the close of business Tuesday. 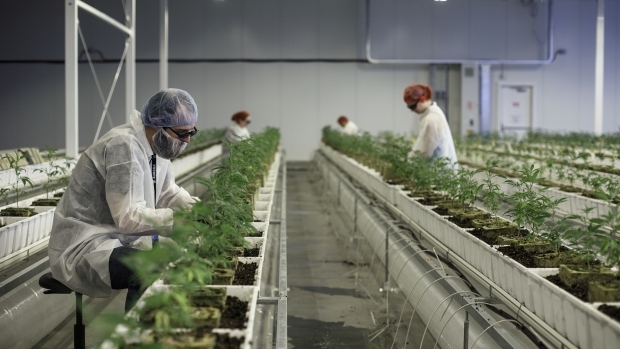 Aurora CEO Terry Booth says in a statement that CanniMed will operate as a wholly owned subsidiary of Aurora and will spearhead initiatives such as scientific research, education and product development. In January, Aurora struck a stock-and-cash deal valued at $1.1 billion to buy CanniMed. The agreement ended a sometimes-terse takeover battle between the two companies.